How do you feel about daylight saving time? Many people dread the changing of the clocks thanks to that feeling we are all left with. A bit sluggish, a bit slow. It seems like we are finally feeling better, and then the next time change is upon us. The important thing to consider is that your sluggish feeling can lead to an increased risk of vehicle collisions. You are less aware of what is going on around you, and your ability to make quick decisions behind the wheel is dulled. 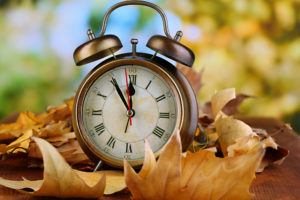 The good news is that there are things you can do to lessen the effects of the time change. Stick with your normal bedtime, and we aren’t talking about what the clock says. If you normally go to bed at 9, hit the sack at 8 for a couple of days. Increase the tie that you hit the hay by 15 minutes each night until you are seeing the clock turn 9 p.m. before you go to bed. Do the same thing in the morning. If you normally get up at 6, get up at 5 for a couple of days, and then gradually increase the time on the alarm by 15 minutes until you are sleeping in until 6. Experts suggest that it takes about a week for the body to adjust to the new time. When you make that adjustment slowly, you are better able to ease your body into the change. If you do happen to be involved in a car accident in Atlanta due to someone’s error or negligence, you have legal rights. Reach out to our office to discover more about what those rights are during a free case evaluation.